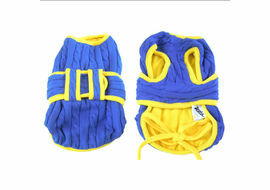 Zorba Designer Premium Winter Sweater for Small Breed Dogs Searching some winter wear for your beloved dog? Let your search end here. 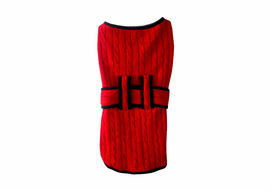 Zorba Designer will make your task a tad easier with some of the high quality pet apparels designed to give the desirable amount of warmth during the chilling months of winter. This premium winter sweater is made from high quality ‘woolmark’ grade wool which can easily withstand everyday wear and tear for a very long time. 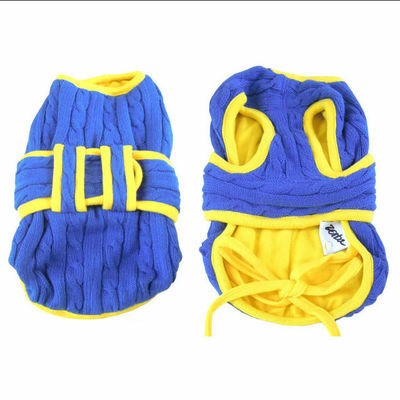 The garment comes with an inner coating of a soft fabric which comes easy to the dog’s skin and prevents direct contact with wool. 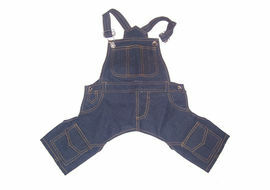 The wool used in this fabric is 100% washable. 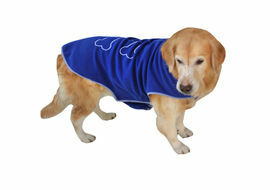 Get one premium sweater for your pet today and be sure to make a style statement. Please refer to the size chart before making a purchaseNote: The size mentioned below in the following chart is as per the length from ‘spine to tail bone. To measure your pet use a canvas tape to measure the length from collar to tail bone. SIZE COMPATIBILITYSize 10: Ideal for Toy Breeds and PuppiesSize 12: Ideal for Most Toy Breeds and Large Breed Puppies Size 16: Ideal for Small Dogs (Pugs)Size 18: Ideal for Small Dogs (Large Pugs, Spitz and Some Cocker Spaniels)Size 22: Ideal for Medium Dogs (Cockers, Pariah, Mongrels, Cross breeds)Size 24: Ideal for Medium to Large Dogs (Boxers)Size 26: Ideal for Large Dogs (Labradors/GSDs)Size 28: Ideal for Large Dogs (Big Labradors and Big GSDs)About Zorba: Zorba Dog Fashion is one of the leading manufacturers of pet clothing and pet accessories in India. 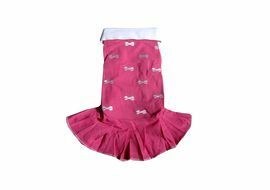 Since its inception the company looked forward to manufacture high quality designer stuffs for pets and uses the same fabric which is used for making of human clothes and accessories. If it’s Zorba, it’s some real stylish designer stuff. Over 50% of the company’s production is exported to different parts of the world. 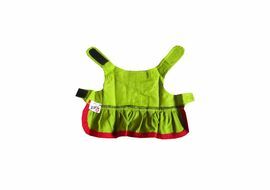 The range of pet clothing and pet accessories manufactured by Zorba is unmatched and couldn’t be compared to cheap stuffs that come from China or South East Asia. 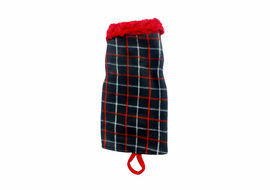 If you’re thinking to give your dog a premium look, don’t think twice in choosing Zorba Dog Fashion.Disclaimer: Apparels featured on petsGOnuts.com is highlighted with its sizes and other specification to help you choose the correct product for your pet. We recommend you to measure your pet before making your purchase.